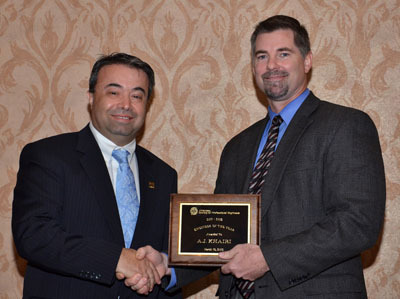 After being named a Central Chapter Engineer of the Year, A.J. 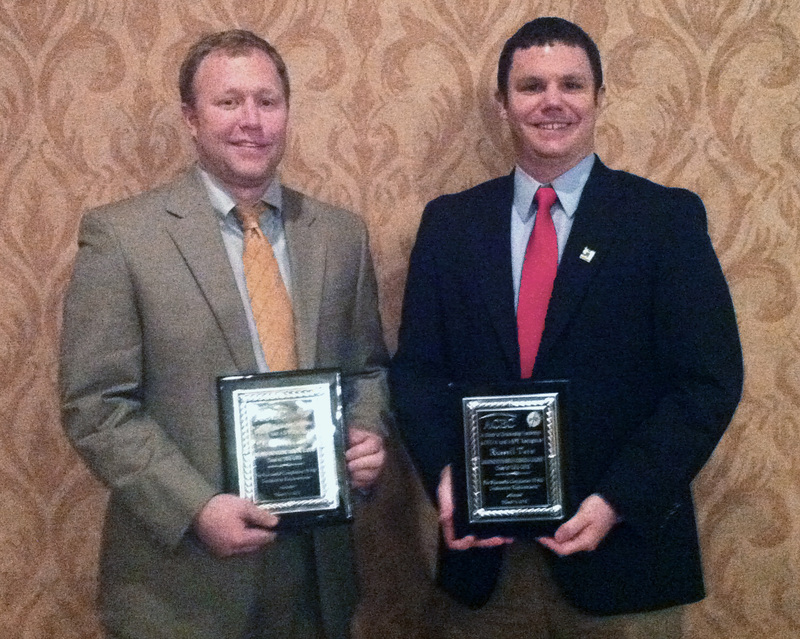 Khairi, PE has been recognized as the statewide Engineer of the Year by the Arkansas Society of Professional Engineers. ASPE President Steve Mallet, PE presented the 2011-2012 award to A.J. at the ASPE annual conference awards banquet. The award is presented to an Arkansas engineer who has made outstanding contributions to the engineering profession, the public welfare, and humankind. An employee with Garver for 20 years, A.J. is a bridge team leader and structural engineer. He began his career as a design engineer and has progressed to a bridge team leader in our North Little Rock, Arkansas office. His projects include designs for the Great River Bridge over the Mississippi River and the Big Dam Bridge over the Murray Lock and Dam on the Arkansas River. He has worked on hundreds of bridge rehabilitation and scour study projects in Arkansas, Tennessee, Oklahoma, and Mississippi. In addition, Blake Roberson and Rusty Tate graduated from the Emerging Leaders program, sponsored by the American Council of Engineering Companies of Arkansas and the Arkansas Society of Professional Engineers.